Yesinn @Causeway Bay is a new hostel located near Causeway Bay subway station in central Hong Kong, across the road from the bus from the airport. Opened in 2012, this hostel has some great extras such as a massage chair, free coffee and tea and personal reading lights. One Hostelworld traveller praised the hostel for its 'clean room, comfortable beds, modern and very clean bathroom, expedient and clean kitchen with a good choice of music, helpful and friendly staff [and its] good location'. We like their two roof terraces. Located only two minutes’ walking distance from Causeway Bay MTR station, our premiere location makes us the ideal starting point for exploring HK city. Recently renovated, we boast not only a fantastic HK city-centre location but our free services are unbeatable. You can hang out in our common room or relax in the roof top garden. An added bonus is that the big-size beds are tailor-made for taller persons and come with linen for free, so late-arriving travellers can jump straight into bed. There is a bed-side curtain, built-in universal adapter sockets and a bedside lamp for each bed. 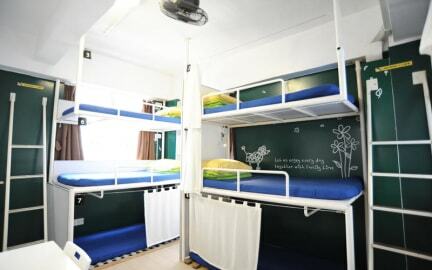 As the best hostel service provider in HK, we cater to all types of travellers. Whether you’re a holiday visitor, budget traveller, backpacker, business traveller, study-abroad students, transiting or on your Chinese visa run, you'll be sure to have a fun and comfort time while staying at Yesinn@Causeway Bay Hostel. Our hostel services include free coffee and tea, free local calls, the free massage chair, free iPad lending, free internet and free Wi-Fi coverage throughout the entire building. Also, guests can use our shared hair dryer, refrigerator, kitchen, rooftop garden and smoking podium. We have taken great care when it comes to your safety and security so you don't need to worry. We provide 24hrs reception, hotel key card and private lockers. Toothbrush and toothpaste are available for HK$5, towels can be rented for HK$10 and slippers can be bought for only HK$5. Please note that Yesinn is exclusively for foreign passport-holders and those aged over 10 years old. Cannot recommend this hostel enough. The staff are so lovely and helpful, there's a great atmosphere each evening on the rooftop terrace, rooms are cleaned every day and the location is so close to the MTR so easy to get anywhere! Would definitely stay here again! Great place, nice staff, would stay again! There's a congee place and a couple dim sum places right around the corner too! I have been a regular customer at this hostel for at least three years. 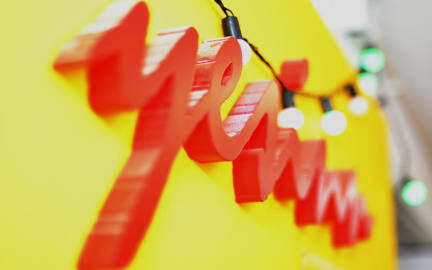 Having stayed at other hostels in HK I can confirm that Yesinn is the best one based on the location and the facilities. The rooms are spacious (for HK standards), the staff is friendly and the best part of it is that it is a couple of stations away from central and LKF. Will be coming back soon, thanks. Had everything you needed. People came in every day to clean. Good hostel. Lockers were good. Location is convenient specially if you have a lot of tours around HK Island (e.g. Victoria Peak, Ocean Park). The location is near MTR, Tram and bus stations. It is easy to commute to the airport. Also, there is a 24hr reception. Although we are 9 persons in the room, there is still ample space to walk around. They also provided door/locker card-pass, comfortable beddings and pillow. The lockers provided are too small to fit a standard carry-on. The location is very good—near shopping and the Chinese visa center. Filtered water is available. Bed curtains leave much to be desired. The beds were really uncomfortable and the shared bathroom wasn't cleaned once in the 3 days we were there. The main door downstairs has a broken lock so there really isn't much security and the staff behind the counter were pretty unfriendly. The pros: great location, free water refill, really good working A/C in our room. We met a great group of backpackers here to go out with one night so there's definitely a good vibe if you're looking to be social. This hostel was okay, you get what you pay for. I’ve stayed in better places for relatively the same price. The staff were nice and helpful. I found a couple cockroaches in the room and the bedsheets weren’t the cleanest. I would stay here again for the location. Worst hostel in Hong Kong! They have a good review just because they give you a free drink if you put a good review! I think what puts us ahead of the rest is the special attention we give our guests. You can see this in the great extras we offer, like free massage chair, free coffee and tea and free iPad rental. We're located in the most prime location in the shopping and entertainment centre of Hong Kong Island. It's only two minutes' walk to Sogo and Times Square Shopping Mall. I particularly recommend visiting Stanley Market and Stanley Beachâ¦in fact, the mini-bus terminal to Stanley market is right at the entrance to our hostel! We have a lot of fun around here, with regular parties and activities for guests like hiking, BBQ, local tours and more. Most of our guests are backpackers, lone or group travellers and students aged 18 to 40.